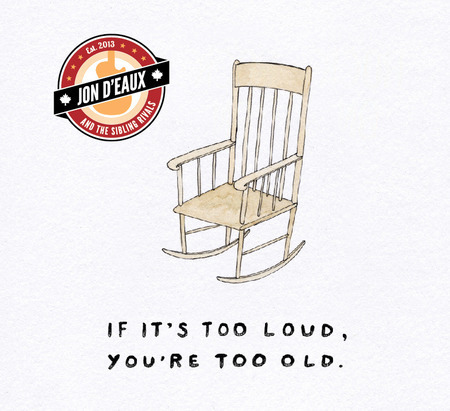 The new CD "If It's Too Loud, You're Too Old" by Jon D'Eaux and the Sibling Rivals record is now available for purchase! Order a CD by clicking the "Buy Now" link below, or as a digital download. It's also available for download on iTunes. You can also download a "DigiBooklet" for the album's artwork here. Or, even better than iTunes, please click "Buy" in the box below to purchase a digital download, in either .WAV or .MP3 format.